The Renault Fluence has been doing fairly well in terms of sales, despite being accompanied by big players like Skoda and Toyota in the same segment. In June 2012, 208 units of the Fluence were sold across the country. The car is set to get a makeover soon and will be launched at the Paris motor show later this year. Of course, European customer will be their priority after which we will see the facelift coming to India as well. 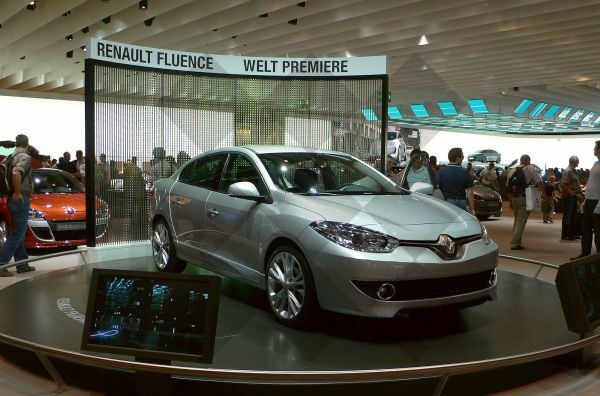 That said, the new Fluence is designed along the lines of the Zoe Concept car which was showcased at the 2012 Delhi Auto Expo. A large Renault logo in the center flanked by expressive headlights and a slender grille with make up the front fascia while new tail lamps and some minor tweaks will complete the rear end. Interior too is expected to get one or two bits from Renault’s newest design bin. The French car maker has launched the next-generation Clio in Europe which again is based on their latest adopted design philosophy. Coming back to the Fluence in India, the diesel variant has been the most sought model and the same 110 PS engine will be offered on the facelift as well. The 2.0 litre petrol engine on the other hand puts out 137 PS of maximum power and is rated at 13.4 kmpl.